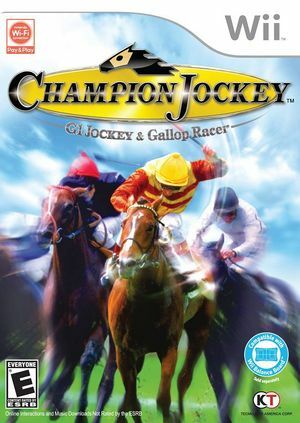 Champion Jockey: G1 Jockey & Gallop Racer is the spiritual successor to the G1 Jockey series, recreating the horseracing world through a variety of immersive races, intuitive gameplay with simple controls. Utilizing the latest motion controllers, being a jockey is no longer just a dream. The new standard in horseracing is here! The graph below charts the compatibility with Champion Jockey: G1 Jockey & Gallop Racer since Dolphin's 2.0 release, listing revisions only where a compatibility change occurred. This page was last edited on 23 October 2017, at 19:09.